Normal or healthy blood pressure prevents the vascular walls from becoming overstretched and injured; it prevents the heart from overworking to pump blood through clogged arteries; and enables the tissues to receive adequate supply of oxygen-rich blood. Normal blood pressure reading is below 120/80, where 120 represent the systolic measurement (peak pressure in the arteries) and 80 represents the diastolic measurement (minimum pressure in the arteries). Blood pressure between 120/80 and 139/89 is called prehypertension (to denote increased risk of hypertension) and a blood pressure of 140/90 or above is considered hypertension. There are two categories for hypertension, essential or secondary. Essential hypertension is the term for high blood pressure with unknown cause, accounting for approximately 95% of cases. 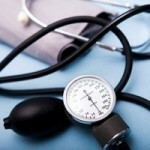 High blood pressure with a known direct cause such as kidney disease or tumors is known as secondary hypertension. Smoking and hypertension are related to each other. Cigarette smoking elevates the blood pressure level by 5 to 10 mm Hg during the day. It has been found by a study that cigarette smoking increases the systolic blood pressure count by at least 20 mm Hg. The Journal of Human Hypertension states that obesity accompanies hypertension and both conditions are independent cardiovascular risk factors. This association between obesity and hypertension forms part of a broader relationship between body weight and blood pressure (BP). Hypertension is largely associated with type 1 and 2 diabetes resulting from kidney damage in diabetics. Lack of exercise makes it easier to become overweight and increases the risk of high blood pressure. Calories and body weight are highly associated and excess body fat increases the risk of health problems. Potassium has an important role in blood pressure treatment as well as low calcium intake may increase risk of hypertension. Excessive sodium intake is linked with high blood pressure or hypertension in some people. Medications can lead to or worsen high blood pressure. Examples of these are Corticosteroids, Nonsteroidal anti-inflammatory drugs (NSAIDs) such as ibuprofen and aspirin and oral contraceptives. 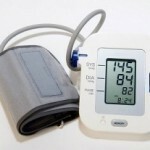 Children may inherit the risk of higher blood pressure from one or both parents. Although hypertension often runs in families, some people with a strong family history of high blood pressure may never develop it. Kidney disease is the most common cause of secondary hypertension, more so in older people. Many types of kidney diseases can cause hypertension. Renal artery stenosis involves the narrowing of the renal artery and is usually caused by atherosclerosis. Other types of kidney disease associated with hypertension are polycystic kidney disease and renal parenchyma disease and nephropathy.